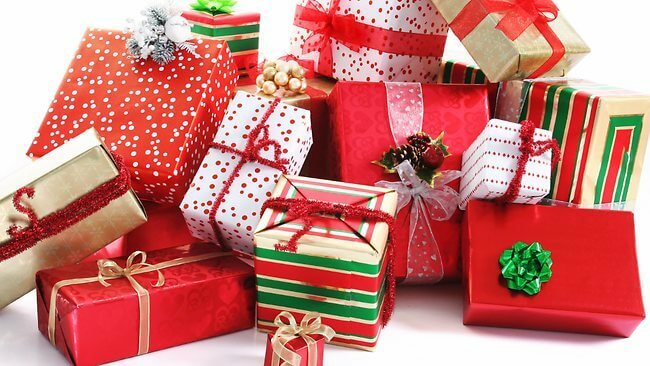 Christmas and the shopping that comes along with it, can be the most stressful time of year especially when it comes to figuring out what to getting something perfect for those closest to you. To help you out, Shannon Dunne, Account Support Executive at GottaBe! has provided some ideas for every member of the family or maybe a work colleague, if you’re yet to do a secret Santa! Marks and Spencer’s, Men’s grooming kit is the perfect gift for the bearded men in your life. It contains wax, scissors and a tin to keep it all in for just £10. Have you got a friend that loves to tell the cheesiest of jokes? Well get ready to go from brie to stilton with the Cheesy Jokes set from Marks and Spencer, which is perfect for that friend that loves cheesy jokes. Every joke within the packet is cheese related and the packaging even looks like the outside of Camembert, what’s not to love? A great gift for a cyclist of the great outdoors is the Bike Multi Tool from thepresentfinder.co.uk. Similar to a Swiss Army knife (but not as dangerous! ), this neat little gadget contains 15 tools in 1, including allen keys, a flat head Phillips screwdriver and a spanner multi-tool. What’s even handier is the way it comes with a little case as well, keeping everything safe from wear and tear. It’s a well-known fact, that British people love tea and biscuits. In fact, figures show that the we drink 65 million cups daily, so what’s better than a personalised mug that has a biscuit holder within it! This gift is cheap and unique which makes it perfect for the everyday tea (or any hot beverage drinker). What makes this gift even better is that you can put names on it meaning no one else can use it! Women can be extremely difficult people to buy for because, let’s face it, we have everything right? But do they have a wine glass bottle? If not, this is the perfect gift for any wine drinking lady, when you’ve just settled down on the sofa with a glass of vino when all of a sudden the glass needs refilling. Luckily, our wine bottle glass more than fits your needs and can ensure that you won’t need to leave the sofa when your favourite programme comes on. As well as quirky products being great for gifts, they can also bring aesthetic delight to a Christmas dinner. Edible poinsettias are a perfect decoration for the Christmas dinner because instead of getting a real plant which will eventually die, you can eat these plants after because they last for a month after purchase! What’s even better is they can be personalised. Do you know anyone who has recently become a parent? Or a friend that is extremely accident or boredom prone? Then the Family Emergency Kit is the perfect little gift. Containing the essentials such as wet wipes, plasters and a set of playing cards which can be great in everyday emergencies like injury and boredom, it is neat, concise and always there when you need it. Are you obsessed with Prosecco as much as everyone else? Do you go straight for a Pornstar Martini when you’re out for the night? Well you can become the king or queen of throwing Prosecco Parties with the Prosecco Cocktail Book from thepresentfinder.co.uk. Filled with easy to make and beautifully designed recipes, you’ll soon be the go to person for Prosecco. If you’re after a hilarious and quirky way of eating your boiled eggs and soldiers, then you need to get your hands on the Eggsplode Egg Cup and Soldier Cutter. This is a great way to make eating protein fun for both adults and children especially for those who are fussy eaters and need a little nudge to try something. As well as this, this little gadget turns breakfast into a wartime scene which can also give a historical edge. Glasses are the one thing that we can never find because they’re either on our head or behind the sofa make life that bit more stressful however the perfect solution for this is here. The wooden glasses holder, is a fun and unique way of keeping your glasses safe. As well as this, this object is bold and eye catching, so if you do leave your glasses on them, you’ll be able to find them again quickly! Story written by Shannon Dunne, Account Support Executive at GottaBe!